Product #46121 | SKU EQBOOTZ | 0.0 (no ratings yet) Thanks for your rating! 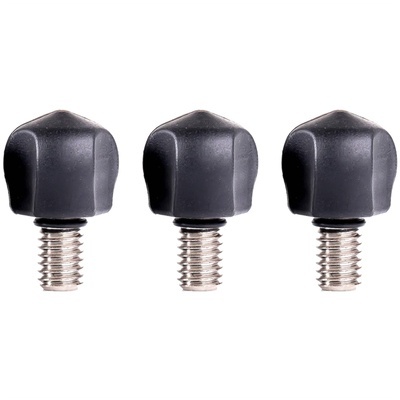 The Bootz Replacement Rubber Feet (Set of 3) from 3 Legged Thing are the standard feet included with select 3LT tripods and are sold here as a spare or replacement set. The feet are constructed of a durable Nitrile rubber base affixed to a stainless steel 1/4"-20 screw. A 3/8"-16 adapter sleeve is included with each foot to allow compatibility with a wider range of 3LT models.